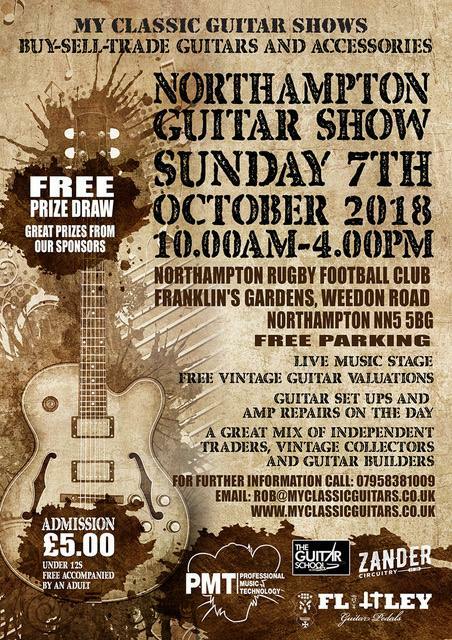 This Autumn the Northampton Guitar Show opens itself up to the public for the first time at the Northampton Rugby Football Club, Franklin's Gardens on October 7th, 2018 from 10am to 4pm. A plethora of equipment will be available to buy, including new, vintage and pre-owned guitars, amps and pedals. Alongside this you’ll be able to trade and sell to of retailers, boutique makers and private collectors. Plenty of special show bargains and on-the-day prices will be available on a wide range of products, both new and used. 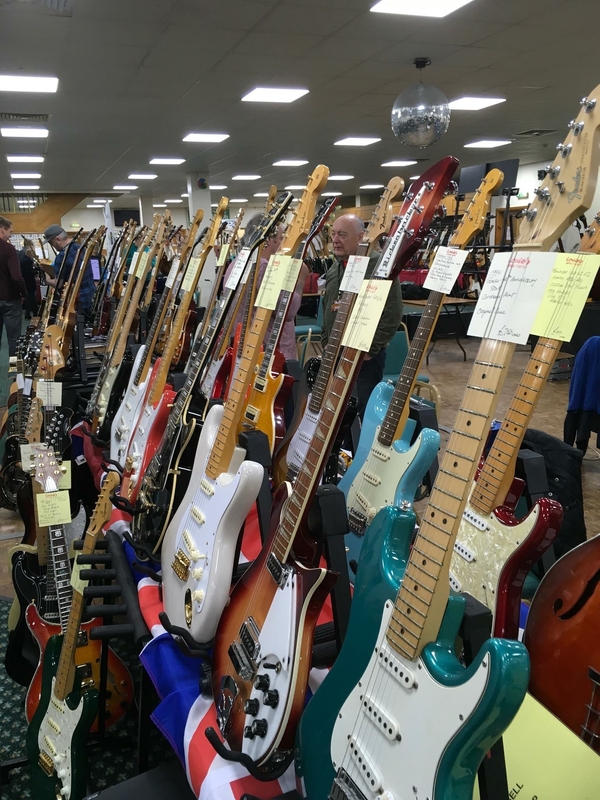 Hosted by My Classic Guitar Shows, the show features an affordable entrance fee (£5) to the public and free-entry for under 12s, sensibly-priced exhibitor costs with no added extras, plus a cafe and bar and free parking for all! If this wasn’t already enough, there will also be free vintage guitar valuations available, on the day guitar set-ups and amplifier repairs, plus live music from The Great Devide Trio amongst others. Alongside this there’ll be a free prize draw provided by PMT! The event is sponsored by PMT House Of Rock, Zander Circuitry amongst others. For the full list of exhibitors please visit their website. For further information please email Rob at rob@myclassicguitars.co.uk or visit myclassicguitars.co.uk.